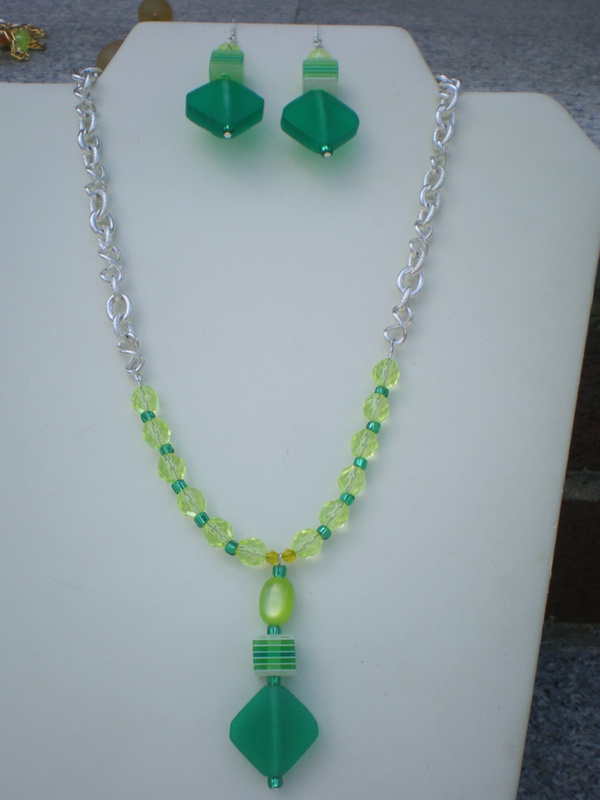 17 3/4″ Long handmade beaded necklace set. 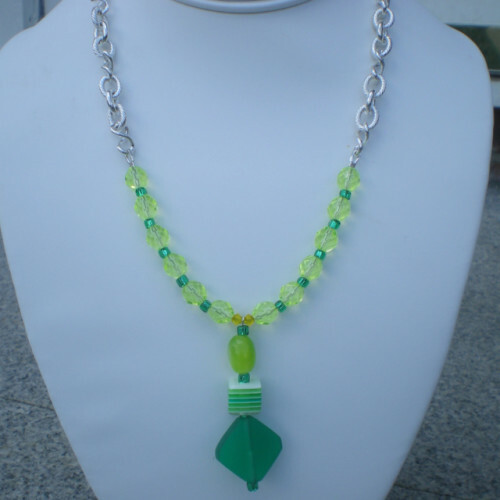 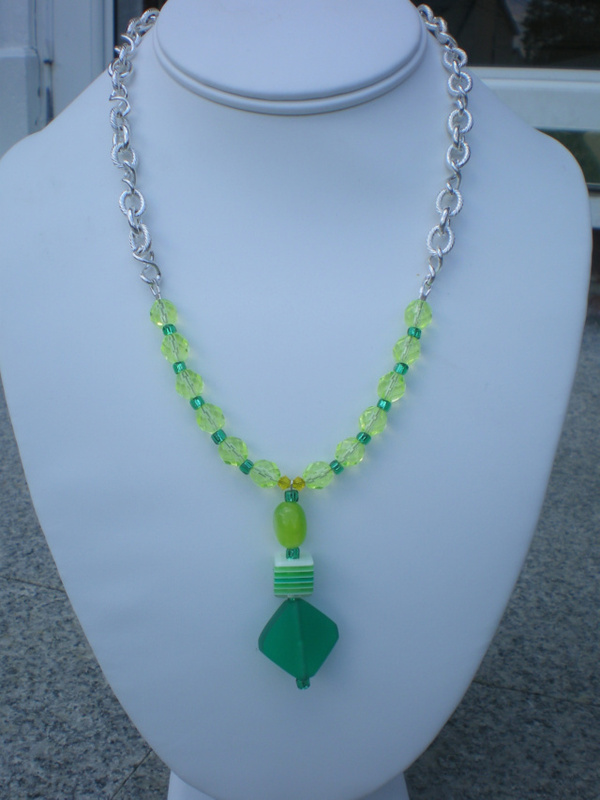 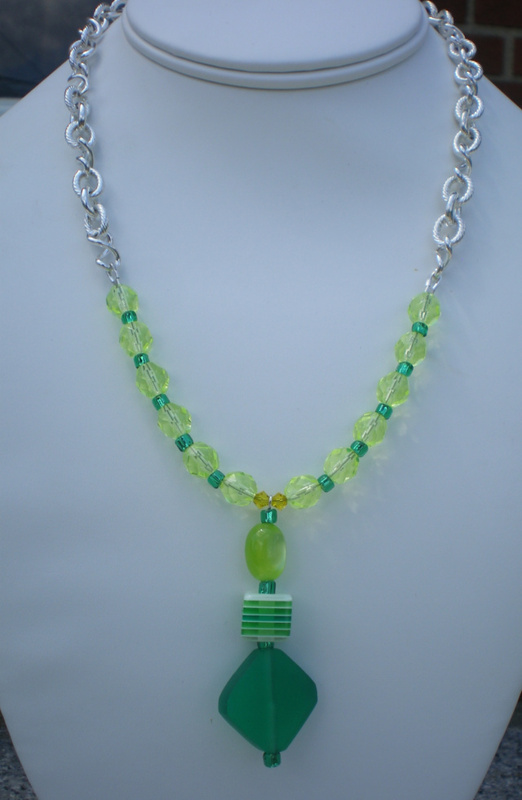 Light green fire polished beads with green seed beads in between. 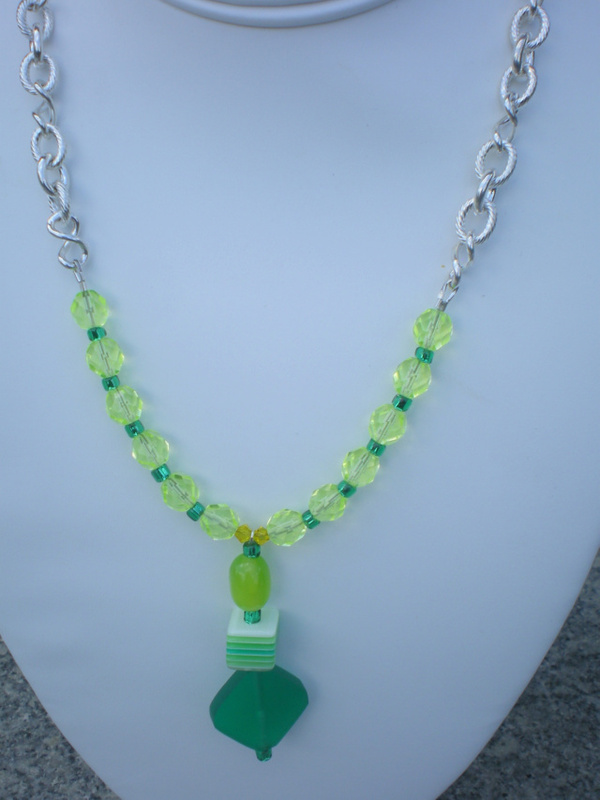 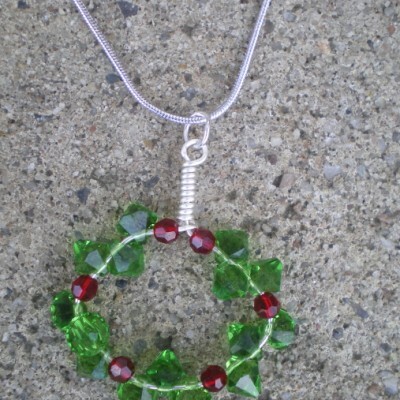 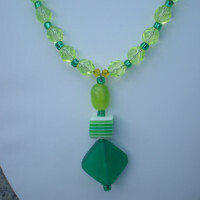 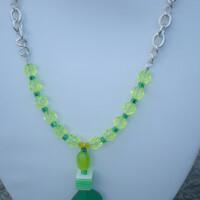 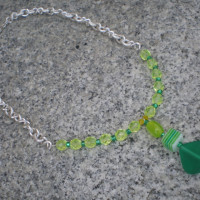 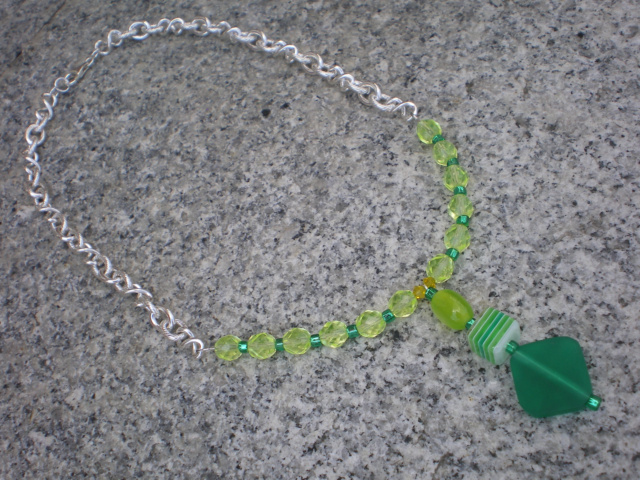 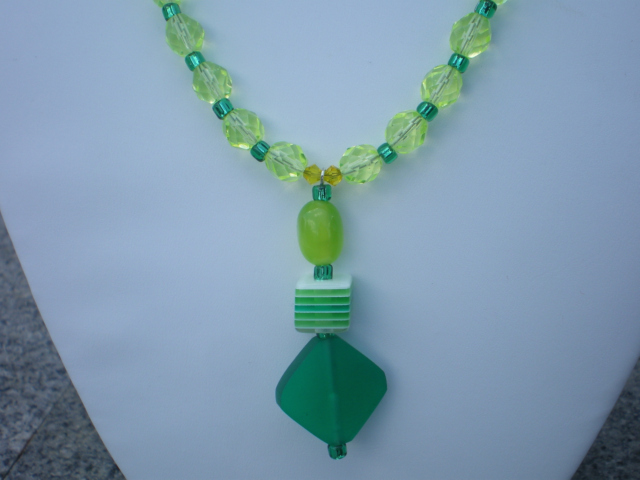 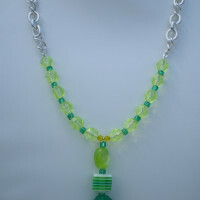 Pendant made with resin beads and green glass seed beads in between. 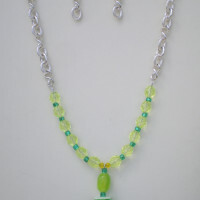 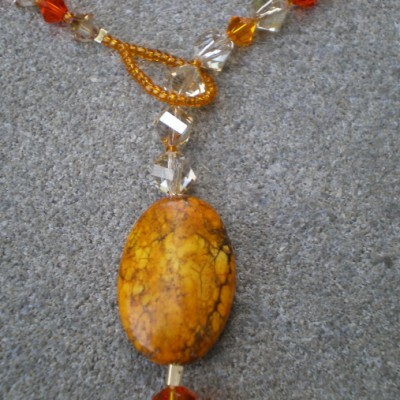 Pendant surrounded by 2 yellow swarovski bicone crystals. 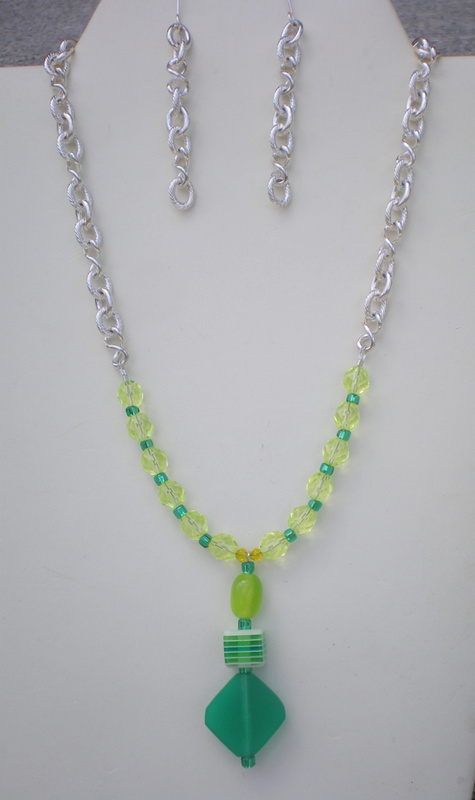 These beads are attached to silver plated link chain. 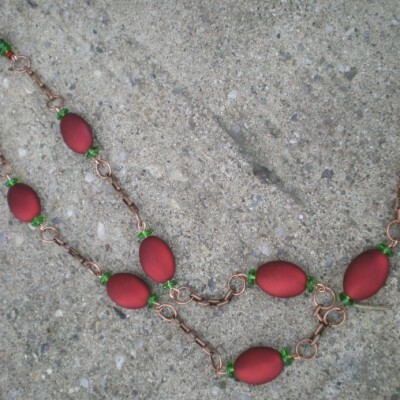 Sterling silver lobster claw clasp. 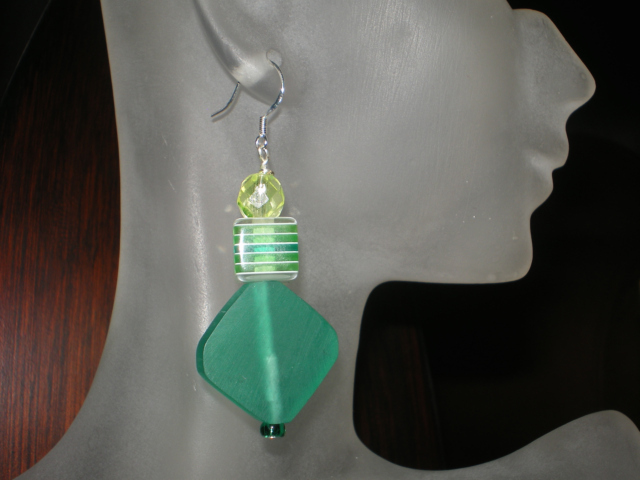 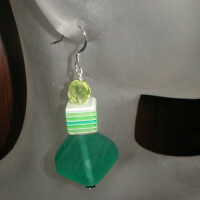 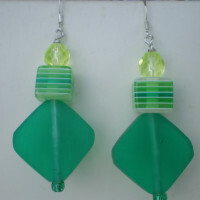 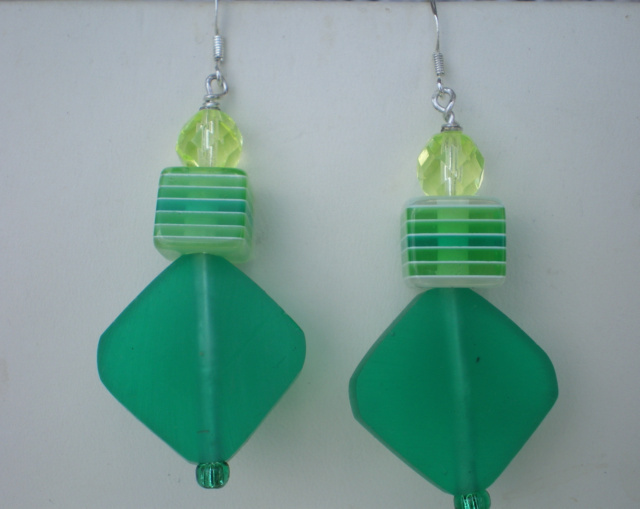 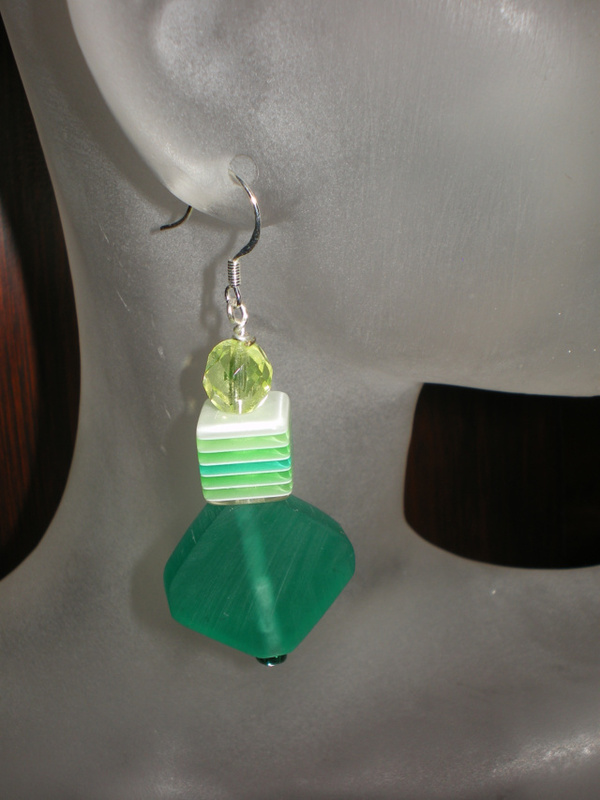 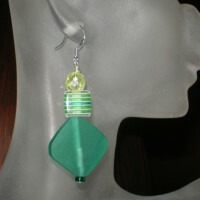 2 1/4″ Long matching earrings with sterling silver ear wires. 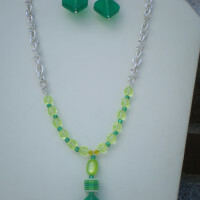 Be the first to review “Glass And Resin And Chain Link Necklace Set” Click here to cancel reply.